Blessing Animals, Birds, Fish etc. 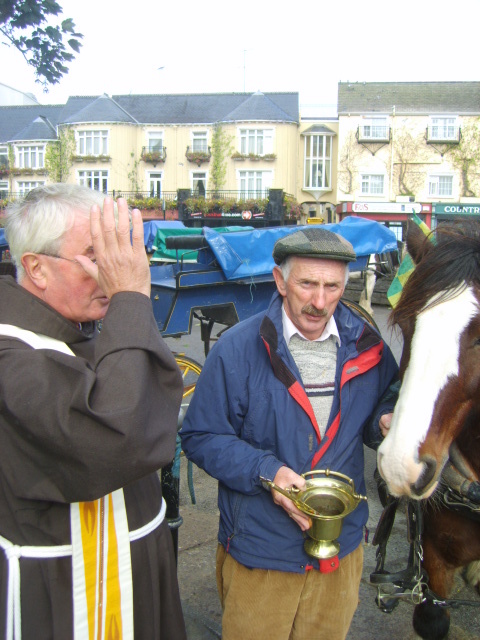 Traditionally, each year around the Feast of St. Francis (4th October), we invite local people to bring their animals especially their pets to the friary so as to give them a blessing and to offer prayers for the care and welfare of animals generally. This is to remind us that all creatures are created and blessed by God who sees them as "good". This tradition honouring our founder, St. Francis' love for creation goes back many years, and is very popular with animal lovers in particular. A Prayer for Blessing Animals etc. Creator of all that lives! and all animals on the land. for he saw in them a sign of Your fatherly care for us. enable them to live according to You plan. for all of Your beauty in creation. provide for every kind of animal. of the life for which You have made it.